Once again Ubuntu was trusted by a large vendor to powered one of their products, recently you can find Trimble Yuma Tables Ubuntu edition. Yesterday, SDG System announced the availability of Trimble Yuma tablet with preinstaled GNU/Linux OS (say Ubuntu). 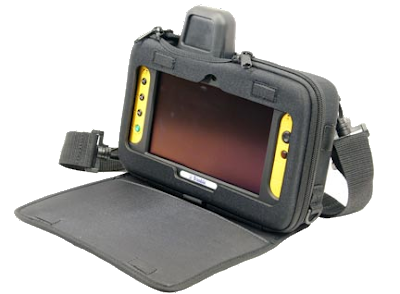 Trimble Yuma is rugged computer tablet which designed for use in an uncertain condition like extreme weather and even for war, which qualified U.S. military standards MIL-STD-810F. Although equipped with Ubuntu, you can meet geospatial applications like GRASS or Quantum GIS installed there. Processors : 1.6 GHz Intel® Atom processor . RAM : 1GB DDR2 RAM. Display : 7-inch sunlight-readable touchscreen display in a magnesium alloy shell. Connectifity : 802.11 b/g Wi-Fi, Bluetooth, and GPS. 32 or 80 GB SSD (Additional expansion is provided by SDIO (SDHC) and ExpressCard slots) . Operating System : Ubuntu 10.04 LTS Netbook Edition. Accesories : 2 cameras 2MP and 1.3 MP with Geotagging, Vehicle docking station. Trimble Yuma was pegged at a price $3.695, very expansive price if compared with its specs, but if you have a plan to open twitter and facebook when you are in War this tablet may be an option :).